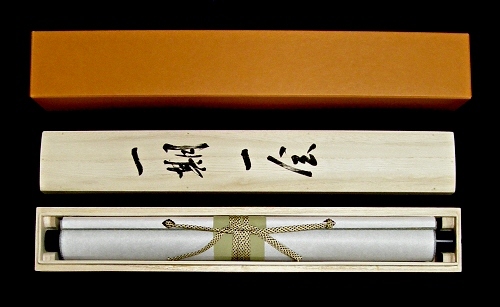 Seiyu was accepted for the Mainichi Exhibition, the Kenten Exhibition and others. He belongs to the Sanbi-Kai Group in Gifu Prefecture and also he is a member of the Shimane Shodo-Kai. 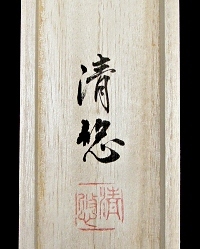 The Kanji phrase is written "Ichigo-Ichie". It means "Once in a lifetime" or "Treasure every encounter, for it will never recur."